Frugal living is a smart choice. However, like all things, frugality can be taken to the extreme. The following seventeen signs may be a sign that you will want to reassess your reasons for being frugal. You spend many, many hours a week on frugality. Whether it’s clipping coupons or re-working your household budget, frugality takes time. If you’re spending more time on being frugal than enjoying your family, you may want to re-evaluate the situation. Remember that your time is worth money! If you feel too busy and don’t have time to do the things that you want to do in life, you may be spending too much time on living frugally. You go without things that you need. Frugal living isn’t meant to make your life uncomfortable. If you don’t have what you need, you’ve gone beyond just being frugal. You feel isolated. When frugal choices prevent you from living a social, active life, something has gone wrong. Learn more about frugality and isolation. You hoard items just because you get a good deal on them. This isn’t being frugal. It’s not a good deal if you buy something that you don’t need and won’t use. Nobody needs five hundred toothbrushes, even if they do cost only a penny each. You can’t let things go because you might need them someday. This is another example of how frugality can be related to hoarding. You think that you’re being frugal by saving money on some future item that you may or may not need, but what you’re really doing is cluttering up your life today. You hate being frugal but feel like you have to. If you resent the activities that you’re engaging in to be frugal, you’re not living a high quality of life. Consider making other frugal choices that you do enjoy. There are many different ways to be frugal; it should be something that you enjoy doing. You compromise your safety. Choosing to eat expired foods without knowing if they’re safe because you don’t want the money to be wasted is an example of dangerous frugality. You never treat yourself to something indulgent. It’s important to spoil ourselves now and then. You shouldn’t constantly go without because you want to be frugal. Of course, your indulgences should be few and far between and worked into a smart budget, but they should definitely still be a part of your life. People frequently tell you that you’re being stingy. Others sometimes have a better grasp than we do on when our good habits have gotten out of control and have become bad habits! You compromise your values and ethics just to save a buck. Is that really how you want to live? You ask people for more than you give them. For example, you host a potluck party but don’t contribute a dish of your own, or you invite someone on a date and expect them to pay. Your home lacks really basic items. For example, you don’t have a bed because you sold it and sleep on the floor to save money. If your home doesn’t have the basic things that most homes have, you’ve gone too far with being frugal. If you no longer have a home, things are really out of control! It stresses you out to spend money. If even making normal payments causes you stress, you may have a problem. You’d rather save money than earn money. An income is crucial if you’re going to have financial stability. If you’re spending valuable time saving money when you could be using that time to earn money, things may be out of control. Money is all that you talk about. If you can’t have conversations about other interests in life, it’s possible that frugality has become an obsession instead of just a tool to improve your life. You don’t think there’s such a thing as being “too frugal”. Clearly, you no longer know what the line is and that means that you’ve probably crossed it. If you notice these signs in your own life, stop and ask yourself whether or not your frugal choices are allowing you to live the life that you truly want to lead. There are many different options for living frugally, and you should choose the ones that enhance your life rather than taking away from it. I totally agree that balance is the key. #6 is particularly troublesome (you hate being frugal). If that’s really the way you feel then you’ve really taken yourself down an unsustainable path and an explosive spending binge could occur at any time, thus defeating weeks or perhaps even months of grinding frugality. I dated this guy for a little while and noticed that he would not invite me anywhere that involved money..he actually told me he was frugal..but you tend to believe what you want too, as, I like d him in other ways..however, when we actually did go out to an expensive restaurant, he refused to pay for me and gave the other people that were there a problem even paying for his portion..I understand people being careful with money..but this an extreme…I mean I cannot relate to it at all..nevertheless we are not seeing each other anymore..this type of person disgusts me. Uh, the first one is pointless and the second one is illegal, so I would say yes, if you’re doing that you’ve gone too far. Frugality is the balance between trying to spend less and trying to get more quantity or better quality, as well as allocating money towards more important things and away from less important ones . Its definitely not being cheap, like many people confuse it with. 16 really resonates with me (all you talk about is money). Sometimes I feel that that’s all I can come up with as a topic of conversation. In this economy, if you have a job, that’s it – the other ways of making income are few (and most likely illegal)…I was told this by professors at San Diego State University once: “The best way to increase income, is to reduce costs.” – Increasing income in this economy is damn near impossible *(you can’t ask for more money, albeit other businesses can increase their costs to you because they are corrupt – gotta love hypocrasy), but YOU have full control on how much money is going out (your costs). The ultimate goal for YOUR success: Increase income to INFINITY, reduce expenses to ZERO or LESS <= That is your ultimate goal…if you can do that (or close to that), then you WILL BE RICH and will survive ANY RECESSION OR DEPRESSION – GURANTEED! – USE ANY METHOD NESSESSARY TO ACCOMPLISH THAT GOAL! Now he will even buy rounds of Brie, so there’s hope for everyone! The only one I partly disagree with is #7, and only because some who don’t bother to follow the link might think they shouldn’t eat anything that’s gone past an arbitrary “expiration date”, which in many cases is really only a “sell-by” date. There are plenty of other articles that will tell you how to know if food has truly gone bad, although your sight and your sense of smell are often the best indicators. I think that to some degree, manufacturers have started to capitalize on the manufactured fear of using things past an expiration date and have started to put expiration dates on many items where it’s completely ridiculous to do so. The other day I saw an expiration date on a bottle of rubbing alcohol. Seriously? If alcohol expires, maybe folks should throw out all those vintage wines! The one I truly agree with is #1. A long time ago some woman gave my wife an I a long lecture on how much money could be saved by using coupons. So we started clipping every coupon we could find and in a very short time I grew to hate it, because most of the coupons were for products we didn’t use (and didn’t want to use) and many weren’t even available in the local stores. Plus, it invariably happened that when an item went on sale, you never had the coupon with you. So I grew to detest clipping coupons, and then using coupons, and today if I see a coupon on a product I’ll go out of my way to avoid buying it because I don’t want to clip the coupon but I don’t want to feel like I could have saved money but didn’t, so I’ll just buy a competitor’s brand instead (even if I pay more, I feel better about the purchase!). I will also note that excessive use of coupons can be direct or indirect causes of several of the other points on the list (numbers 4, 5, 6, 8, and 11, to be specific – I mention 11 because many times couponers find ways to use more coupons than they are technically supposed to). However, I do have a final thought. Please don’t think that everyone who chooses to live a simple, non-indulgent life might be suffering a psychological problem (as the Consumerist article that brought me here sort of implied). Particularly as people get older and as the economy gets worse, people may get some satisfaction out of making do with what they have rather than indulging in the type of spending they might have done when times were better. And also, people may choose to live simply for religious or spiritual reasons that are none of anyone else’s business. On the other hand, if almost everything on the checklist applies, that might be an indication that things have gotten out of hand for you. So thanks for the article, because I think it really does help you think about whether you’re going too far. This is an awesome post and really relevant to my readers. I am definitely going to link to it my weekly links post! I have to say I can identify with a few things on this list … but when they start happening I usually realize pretty quickly that I’ve gone too far and cut back. It also helps that I go to great lengths to save money so I have more money to spend on what matters to me and my family. I think it balances out in the end, but adjustments do always need to be made! i definitely recognize some of the stuff on this list. luckily my friends saved me before i went completely overboard. -you can buy up to 10 rolls of top-quality paper for 4 euro’s (and less if you’re skipping on quality) in discount-stores. I don’t care what anyone says… I refuse to spend more money than I need to on something I wipe my &%$ with. That toilet paper tip is good and I am going to begin using it. In these difficult times, for many of us, frugality is not really an option, it’s a necessity. However, that said, it is possible to take things to the extreme, liking eating expired foods – that’s a ridiculous notion. However, if you can’t splurge or go out to dinner or treat yourself until you get back on your financial feet, well then so be it. We all had a great time getting ourselves into debt in the first place (job loss or medical reasons, please excuse)…so if it’s time to buckle down now, just think about how great it will be when we’re out of debt and living off cash and still managing to have a good time. There is no one-size-fits-all budget that works for every person and every situation. Stick to what is reasonable for your situation and make incremental improvements to your savings plan or you will be miserable. #3 was something I lived and struggled with for months and months on end, but not just because I was wanting to be frugal. What’s one massive, huge, gigantic, almost mandatory thing people do as a form of entertainment and socializing? Whether it’s while watching a game, going to a movie, going out to restaurants (obviously), or heading to the bar, there is almost always some kind of food involved. Not only does all this food cost money, but it’s kind of counter-productive if you’re trying to be frugal AND obtain a 6-pack set of abs. So intent was I on these goals that I basically ended up isolating myself without even knowing it. I just got used to it. Luckily I’ve recently had this brought to my attention, and I’m once again a socialized member of society, working on balancing my goals and life. Living simple is a challenge when your family is not on board with consuming less and strategies for reducing debt. What are some tips on getting buy in from family members on frugal living? This article is spot on. I could cross most of these frugal points off my list, except that I’ve sold post of my possessions rather than hoarded them. Like so many others who frequent Coinstar on rent night, I can attest that the frugal life will make you feel rich in some aspects and very, very poor in others. Keeping a positive, sensible attitude and taking advantage of life’s bargain bin of opportunities is the best way to keep your sanity, and friends. Go outside and explore or stay inside and create. To be rich in mind, we have to recognize that our time is priceless. There’s no greater waste than spending all of our time worrying about money. I do have a minor quibble with #12. I’ve been to many different kinds of potlucks and for some of them the rule was that the hosts would not provide a dish. The idea was that hosting us in their house was their contribution. But yeah, in general, frugality is not a valid reason to ignore basic etiquette and social rules. 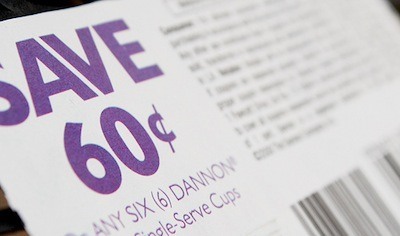 Coupons are primarily about getting you to buy a certain brand. They’re marketing and in my experience rarely worth the bother. I have a now distant friend who has ruined relationships by being cheap. He obviously has a mental illness. He lives in his car because he does not want to rent a room (unless it’s in a house where the other person never comes home, meaning he won’t share, either). He quit working, has money in the bank from an inheritance, but got on food stamps and has about $4,000 in food stamps (which are free anyway! ), and won’t spend those on food. His dental health is shot and will only go to “free clinics” for it instead of paying for a checkup. He only gives “presents” that are from yard sales or garbage-picked. He won’t make phone calls because it will cost money. The list goes on and on. Needless to say, he has no more friends, and his relatives refuse to put up with this behavior. He does get monthly money, has savings, but won’t spend at all. It must be “free” or he will do nothing. He is obviously mentally ill, but does not see it that way (I’m a therapist) and will not get help because he doesn’t see anything wrong with getting free food from a center, or sleeping in his car when he doesn’t have to be homeless, or even not spending food stamps because he doesn’t want to spend the free money he gets. We have had to cut off ties because everything is about not spending. His dental health is horrible because he only eats a MacDonald’s $1 meal, won’t use his food stamps for food (he can’t turn what he has on his card into money, so it makes no sense to not get food with it). And he lives in his car because he wants his own apartment with no one there, but will only go for a cheap room in someone else’s apartment but…does not want them there so he has it for himself! He will gladly eat you out of house and home as long as it’s not his money. And he does have an inheritance in the bank… I’ve known him for decades, and it came to a point to break our friendship. Everything with him is down to pennies. He will die with a large bank account, probably in his car seat, and have no friends. But for him, he feels deep pleasure that he is “frugal.” He cannot see the mental health issue. Unfortunately, it is very difficult (unless they take medication, such as Lexapro) to ever change them. If you know someone like this, never think that they will change – they won’t. It will always be them feeding off of you, giving presents they found in the garbage or got free at a yard sale, they’ll never treat you to anything (unless it might be food that will hurt them to have to spend from their Food Stamp card), and it’s just useless. After awhile, the patience (on other people’s ends) wears off. You know their financial status, yet, they refuse to even spend on themselves. They honestly don’t think they have a mental health issue. These people are extremely difficult to treat. You either have to accept the limitations they impose by their inability to understand that they can actually have fun, spend a little here and there, still get discounts and deals,but also have friendships. Unfortunately,that rarely happens. This OCPD is very hard to treat. They’re usually the people you read about who are millionaires in the bank, but die on the streets (or in this case, in their car). Good luck if you have one in your family.